“It’s the most, wonderful time of the year!” Christmas songs will be ringing through my ears from now until New Years Day. They bring me a big, fat bowl of J-O-Y. Yet, I also lean on these tunes for emotional support and to help guide my mood. Type A during the holidays means creating dozens of DIY decorations, entertaining multiple times throughout the month, cooking exceptional meals, selecting the perfect presents and baking holiday treats for everyone I know. That’s quite the exhaustive list! So the songs tell me to be merry while I accomplish each item. Merry for 30 days straight isn’t realistic. Relaxation must squeeze into the schedule if I want to make it through a sane person. Magnesium may be just the thing to help. 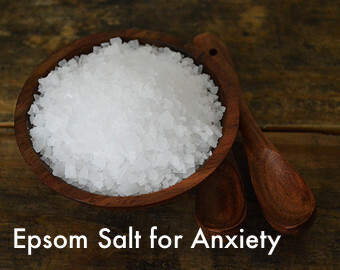 Multiple studies have found a direct correlation between anxiety and magnesium deficiency. A higher dietary magnesium intake reduces stress levels and decreases chances of depression. Over 6 million Americans suffer from an anxiety disorder, and those are just diagnosed cases. As magnesium decreases in the body, anxiety increases. In a Norway study of 5,700 adults, those with low magnesium were at higher risk of depressive disorders. We all know our society breeds stress with our go-go-go lifestyles. The American diet is also a cause for the increasing stress levels. Today’s popular diet of calcium rich foods, high amounts of sugar and alcohol are working against us. We’re told to take extra doses of calcium but we need magnesium if we want to absorb it. Our bodies retain calcium better than magnesium so it’s important to regularly replenish those supplies. When we consume large amounts of sugar and alcohol, magnesium is needed to flush it through our systems and then the magnesium is excreted through the urine. Calcium is stored throughout, while magnesium is used to break down the cake and wine you had with dinner. It’s too focused on removing the toxins from your body and doesn’t have anything left to perform it’s other jobs. This list from Body Ecology shows the roles magnesium play in your health. ►Foods – Dark leafy greens, chard, spinach and seaweed contain high amounts. ►Epsom Salt Bath – Add 2 cups of epsom salts to your bath and soak for at least 12 minutes up to three times per week. This will also help relieve sore muscles. ►Topical Magnesium Oil – Apply this before bed for a restful night’s sleep. Or you can make this nourishing Body Butter recipe from DigPrimal. ►Magnesium supplements can be tricky for anyone with a compromised digestive system so I’m sticking with the real food and topical treatments for now. I feel better when I put a stress relief system in place. My pre-holiday gift to myself is a stocked supply of epsom salts and magnesium oil. Goodbye anxiety.